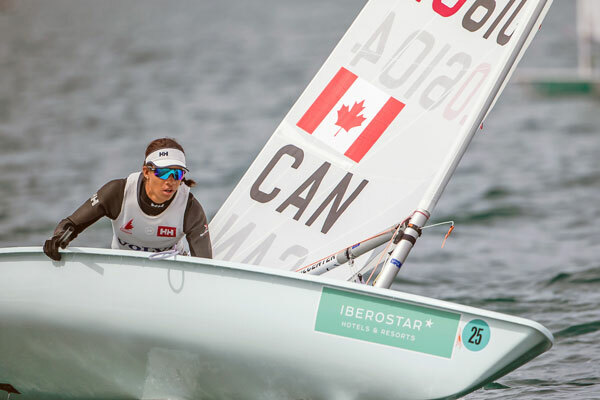 This July, Canadian Athlete, sailor and member of the National Sailing Team, Sarah Douglas, will take the final step toward her dream – be the athlete in Laser Radial who represents Canada in her bid for a spot at next year’s 2020 Olympic Games in Tokyo, Japan. In 2014, Sarah returned to sailing after a two-year break. 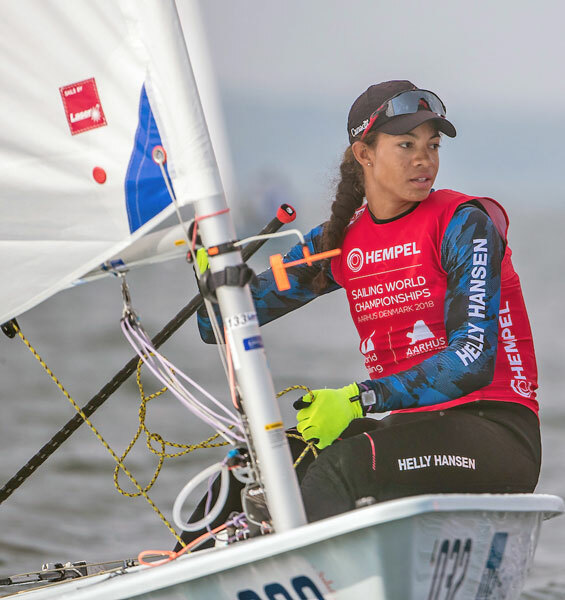 That’s when the young sailor determined she was going to work toward qualifying for the one single spot for the Canadian Laser Radial competition at the 2020 Olympics in Tokyo. Sarah grew up in Barbados. Neither of her parents were athletic, but both Sarah and her brother fell in love with sailing. Sarah and her brother Greg Douglas, a two-time Olympian, would travel and do competitions together as a family. Greg represented Barbados at the Olympics in Beijing, and Canada in London. “He was the one who inspired and guided me along the way”, says Sarah. On occasion, her dad would drive with her 25 hours in the car to Florida for competitions. “I am a huge water fan,” she admits, “plus, I’ve been sailing all my life.” She adds how sailing is such a fantastic sport because you can start when very young, as she did, and continue into your 80s! “I was 7 when I first learned to sail,” she says, “and I was competing when I was 10.” At 14, when Sarah outgrew the smaller boats used by children, she moved on to the Laser Radial. At the 2008 Summer Olympic Games, the Laser Radial was chosen in single-handed women races. The boat is a class of sailing dinghy, meant to be sailed by one person, and is the preferred boat of choice for women sailors. At the same time when Sarah began competing in Laser Radial, she moved to Canada where she attended high school as a boarding student at Lakefield College. Sarah continued to sail but following her success in the Youth Olympic Games in Singapore, she took a break from sailing, and spent the year coaching youth athletes at Ashbridge’s Bay Yacht Club. She then returned with the Olympics as her goal. Her first step was to qualify for the Canadian Sailing Team as a senior athlete – which she did. Then, over the next few years, Sarah continued to add to her achievements while she attended university. She consistently placed in the top 10 results, and won various accolades, including Ontario Sailing Female Sailor of the Year, two years in a row. Then, after completing her BA at the University of Guelph in 2017, she committed to sailing full time. Last year, Sarah enjoyed 10 international results including a 2nd place finish at the Laser North American Championships and a 3rd overall finish at the Lauderdale Olympic Classes Regatta. Then she secured a berth for Canada in Laser Radial at the 2020 Olympics (which means, Canada can participate in the event). Training and preparation fills almost every hour of the week for Sarah these days. “Training is a 6-7 day a week job,” she says, wherever she is. “It comes down to about 160 days on the water a year,” she explains. It also includes 4-6 hours every day at the gym, depending if she’s doing water training or not, as well as skills training on the water. Water training is what she calls “focused training” because it is typically done in 10-day blocks. When Sarah is in Toronto, the Ashbridge’s Bay Yacht Club (ABYC) is where you are most likely to find her. Founded in 1932, the beautiful ABYC is one of Toronto’s premier sailing clubs for both novice and experienced sailors like Sarah. She knows it well, from the two summers when she coached youth athletes there, as well as where she practices when she’s in the city. The Ashbridge’s Bay Yacht Club has also been the location of successful fundraisers to help support the cost associated with Sarah’s travel and equipment during her Olympic bid. Sarah keeps one of her precious Laser Radial boats at ABYC. She has another one in Europe where she trains, and one she has just purchased, waiting for her when she gets to Japan. The next few months are going to be busy ones for Sarah and her coach, Vaughn Harrison. Her next world competition is a regatta in Spain, which marks the start of the “European Circuit”. There’s a Toronto Training Camp in June, the European Championships in Portugal, the Pan Am Games in Peru at the end of July, and the World Cup in July 16-24 when the Olympic choice is made. Sarah feels very lucky to have the opportunity to travel around the world, and named Singapore as one of her most favourite places – she was there for the 2010 Youth Olympic Games. She really appreciated that “It is a very beautiful and clean city, with some really cool architecture”. But Toronto is her home. “I like to bike along the boardwalk,” she tells us, so if you see her there, give her thumbs up! You can track Sarah’s progress in 2019 as she starts on the regatta circuit, European championships in Portugal, the World Championships in Japan, and the Pan Am Games in Peru by subscribing to her monthly newsletter sarahdouglassailing.com.